Featuring Rabbi Gerald Zelizer, Rabbi Emeritus of Congregation Neve Shalom. 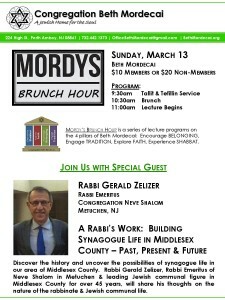 Discover the history and uncover the possibilities of synagogue life in our area of Middlesex County. 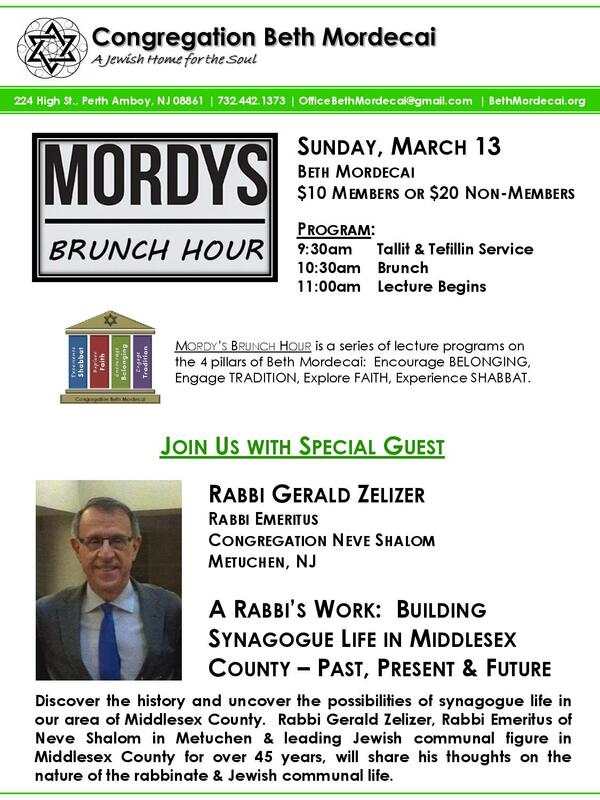 Rabbi Gerald Zelizer, Rabbi emeritus of Congregation Neve Shalom in Metuchen NJ and a leading Jewish communal figure in Middlesex County for over 45 years will share his thoughts on the nature of the rabbinate and Jewish communal life. Share the flyer with friends!